Kitchen Raised – Cooking. Eating. Drinking. Writing. I found myself in this predicament last week. I picked up organic strawberries on sale and within a week wished I’d taken better care of them. As I was cleaning and prepping them to freeze it occurred to me that they didn’t have to be relegated to smoothies just because I couldn’t keep up with them. I don’t eat a lot of desserts; I prefer salty over sweet almost always. But strawberries are an exception. In summer, I’ll quarter and spoon them over ice cream. Or I’ll sprinkle them with a little sugar and eat them just like that. Mostly I just eat them plain because when ripe they are so good. I needed the perfect sauce to save the strawberries and thanks to an experience years ago with one of my favorite Denver chefs I learned the magic of strawberries and balsamic vinegar. When I first saw the cut up berries covered in balsamic vinegar I thought it was a little weird but I was curious. And then I tried a a slice of chocolate torte with balsamic soaked berries and I was hooked. This sauce takes less than a half an hour to make and tastes great drizzled on ice cream, yogurt, French toast or licked right off the spoon. Combine strawberries, sugar, 2 tablespoons water, and balsamic vinegar in a saucepan and bring to a simmer over medium heat. Reduce to low heat, cover, and simmer for 15 minutes. Keep an eye on it and ensure it doesn’t boil over. Whisk 2 tablespoons water and cornstarch in a small bowl. Whisk cornstarch mixture into strawberry mixture. Stir completely into strawberry sauce until mixture thickens. Remove from heat. Transfer mixture to a blender and puree until smooth. Notes: I only used half the cornstarch mixture because I like my sauce a little runny. Right before I blending the sauce I added a splash of balsamic vinegar to the sauce because I like a little more tanginess. Tomorrow I’m headed to the Wings Over the Rockies Air and Space Museum for Culinary Pairings’ third annual Brufrou. I’ve never been before and can only imagine what an event showcasing 40 Colorado breweries and 40 Colorado eateries looks, sounds, and tastes like. I have a lot of “favorite” breweries and restaurants in Colorado. If you ask me for a recommendation for a favorite spot in Denver, I’ll give you a list with at least 5 breweries/distilleries and 5 restaurants because I like to give people options, and I can’t really pick a favorite. Right now, at this very moment, my favorite breweries are Great Divide Brewing Co., Lowdown Brewing, Call to Arms Brewing Co., and Cerebral Brewing. 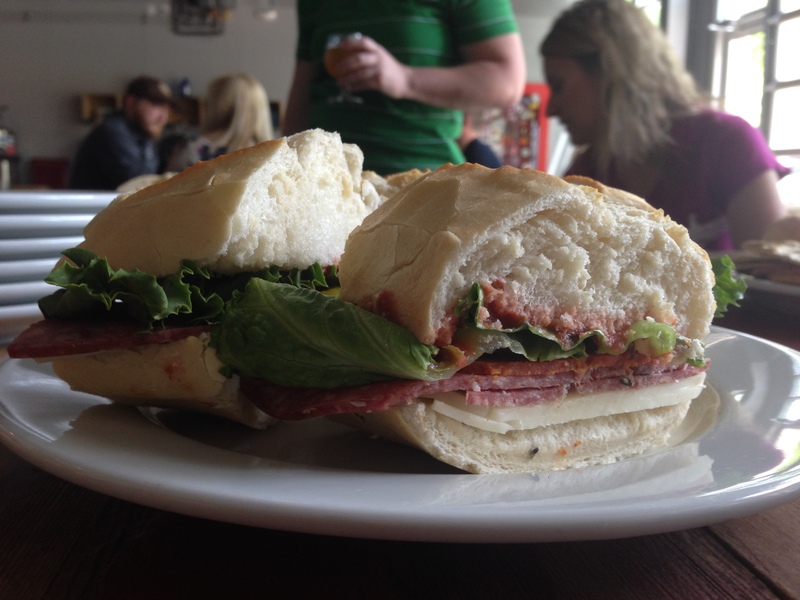 My favorite places to eat in Denver are Euclid Hall, FreshCraft, Argyle, and Root Down. In two weeks, this list could change. Beryl’s Beer Co. and Morgan Handmade Rations: Logan’s Barrel Reserve with Housemade Duck Pastrami, Ethiopian Shiro spread on a blue corn Johnny cake with citrus pecan dust. Black Shirt Brewing Co and The Kitchen Next Door: Dry Hopped Mango Sour with a Spicy Salmon Croquette (wild coho salmon and avocado croquettes fried a la minute). Brewery Rickoli and The Rib House: Social Lubricant Scotch Ale or Oats McGoats Oatmeal Stout with Tracy’s famous illegal hickory smoked baby back ribs. Colorado Cider Company and Baur’s: Ol Stumpy Hard Cider with braised lamb meatballs with tomato ginger fondue and tzatziki sauce. Four Noses Brewing Company and Elevated Catering: Vier Nuezen Belgian Tripel or ‘Bout Damn Time American IPA paired with Colorado Fritter, a wood-grilled rabbit confit, crispy rye flour donut, Palisade peach and Four Noses honey glaze with 10X powdered sweet corn. Great Divide Brewing and Osteria Marco: Oak Aged Yeti Imperial Stout paired with Oak Aged Yeti Braised Short Ribs with Prosciutto and English Pea Arancini. 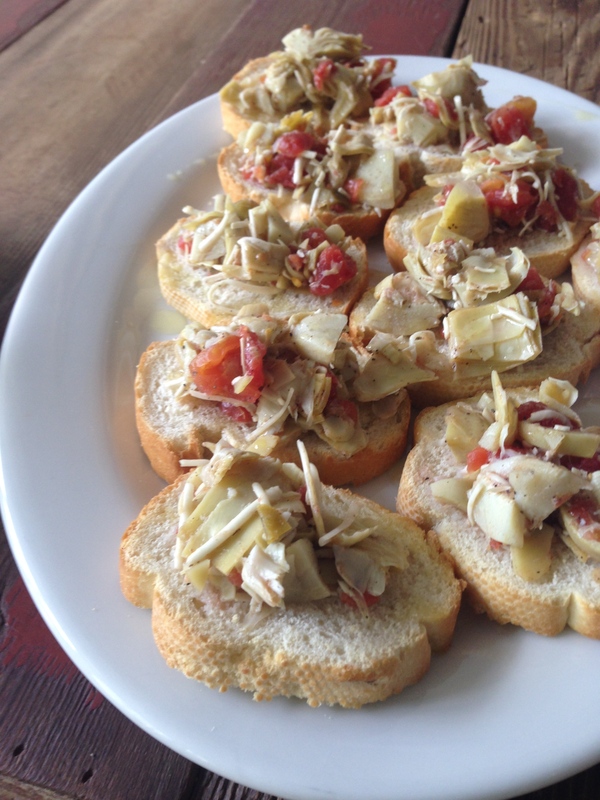 The event is not just a food and beer tasting festival. Also scheduled are Q&A sessions, dubbed “TastyTalks” with brewmasters, chef partners and industry experts. The topics for this year’s TastyTalks are “Change Menus. 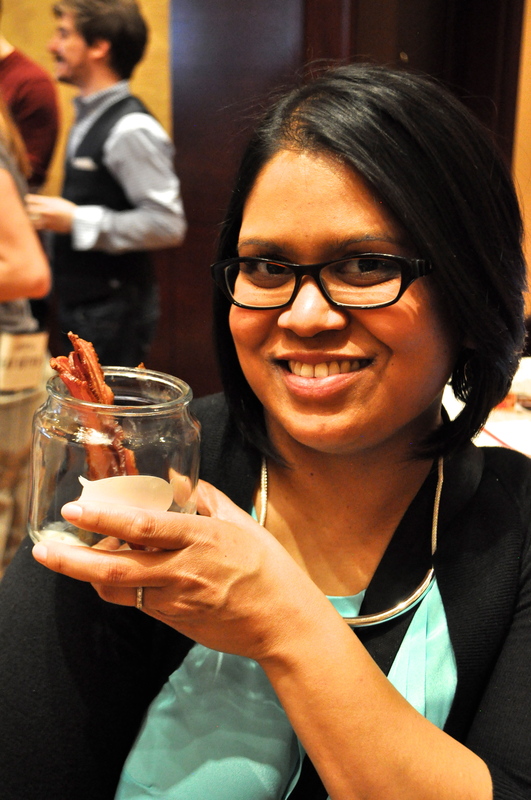 Change Lives”, “Craft + Culinary Made In Colorado: Innovation & Collaboration”, “Big Beers. Big Trends”, “Pairings: Pairing Partners” and of course, a panel of judges choosing the inaugural Golden Pair award. I love celebrating Colorado food and drink — I’m incredibly biased, but I think we have some of the best chefs, brewers, and distillers in the country here — and I’ve never been to an event in a hangar before. The first three flagship beers at Barrels & Bottles in downtown Golden, CO have officially been tapped. 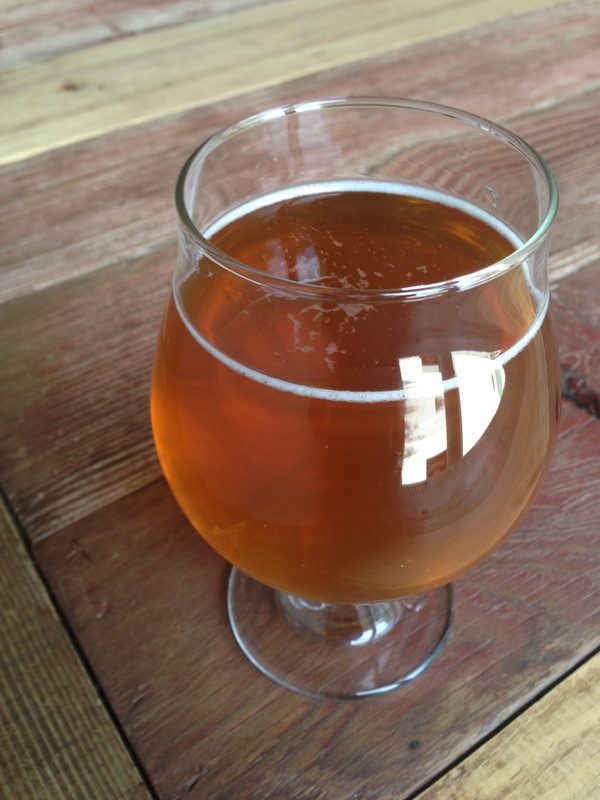 Piney the First, Lil’ IPA, and Hot Lips should be on your “must drink this summer” list. Piney the First is a pale ale made with all Chinook hops. It’s a “crisp ale for year-round enjoyment” and has a pine tree and citrus aroma. This beer is called “The First” as it was head brewer Kim Collins’ first recipe and first brew for Barrels & Bottles. Next up, the Lil’ IPA is a sessionable, summertime brew at just 5.2% ABV. Lil’ IPA is a perfect beer to drink on the patio and soak up all summer has to offer. With a low ABV, having two can still be considered responsible drinking. Hot Lips is a sour mashed blonde ale that uses a pure Lactobacillus strain in the mash kettle, and produces a sharp tart note that doesn’t linger. Hot Lips is a pretty fantastic name for a beer and is a nod to owners Zach and Abby George’s military backgrounds. Think back to M*A*S*H and Major Margaret J “Hot Lips” Houlihan, the blonde military nurse. Barrels & Bottles gets its hops from Voss Farms in Arvada. Zach and Abby handpicked these hops in the fall of 2013. The brewery has four new beers on the way: “Cin-Ful” Porter (porter brewed with cinnamon), “Pixie’s Stout” (stout brewed with NZ hops and aged in French Oak), a well-balanced IPA (to be named), and “Juniperus” , a double IPA (dry hopped with Glacier hops and Blue Juniper Berries). I met Kim Collins earlier this year and was ecstatic to learn she was hired as the head brewer for Barrels & Bottles. When you go check out the brewery, I hope you have the opportunity to meet her. I appreciate that she takes time to talk to people about her beer and answer questions. After home-brewing for about five years, Collins jumped into professional brewing. 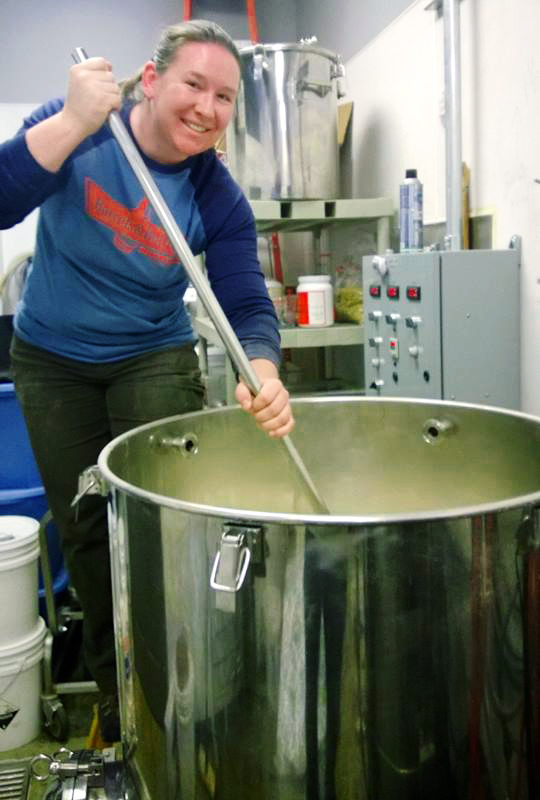 In 2012, she attending the MBAA (Master Brewer’s Association of the Americas” Malting and Brewing course, moved to Colorado and began a three month apprenticeship at Tommyknocker Brewery. She worked at Tommyknocker for a couple of months and then moved to Boulder Beer as a full-time brewer. Collins then became a full-time brewer for Epic Brewing in Denver (that’s where I met her) and left recently for her new gig at Barrels & Bottles. She’s been the head brewer for about three months. Barrels & Bottles is located at 600 12th St., Golden, CO. Hours: Mon., Wed., and Thurs., 12-9 p.m.; Fri. and Sat., 12-10 p.m.; Sun., 12-8 p.m.
Over 50 bartenders participated in the bartenders’ competition at Cochon 555 events throughout the year for the chance to show off their skills at the final competition on Sunday, June 29 at the Curtis Hotel in Denver. 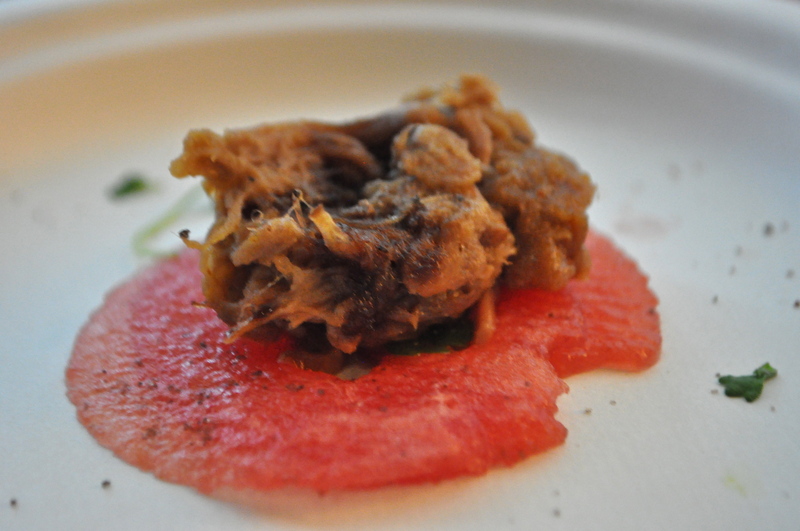 Punch Kings, in its second year, is a competition within the Cochon 555 competition. 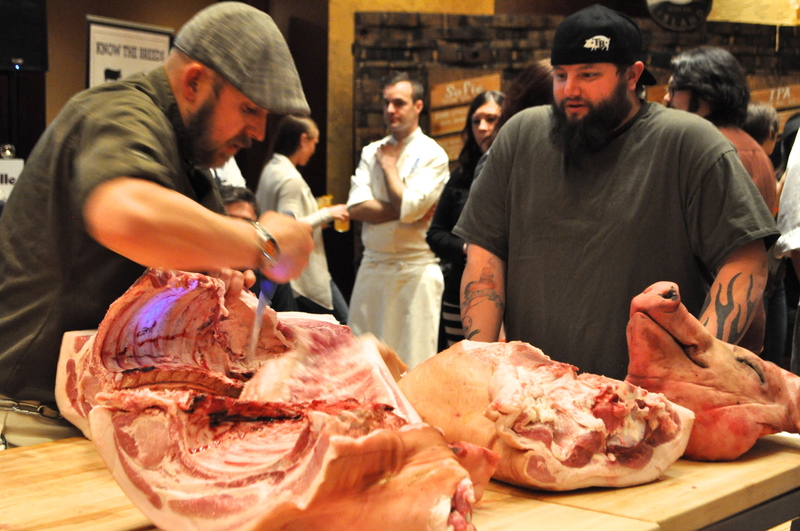 Cochon 555 is a celebration of heritage breed hogs. In each city (LA and Chicago, to name a few), five chefs are given a whole heritage breed pig. Each chef is tasked with creating nose to tail dishes for a panel of judges. 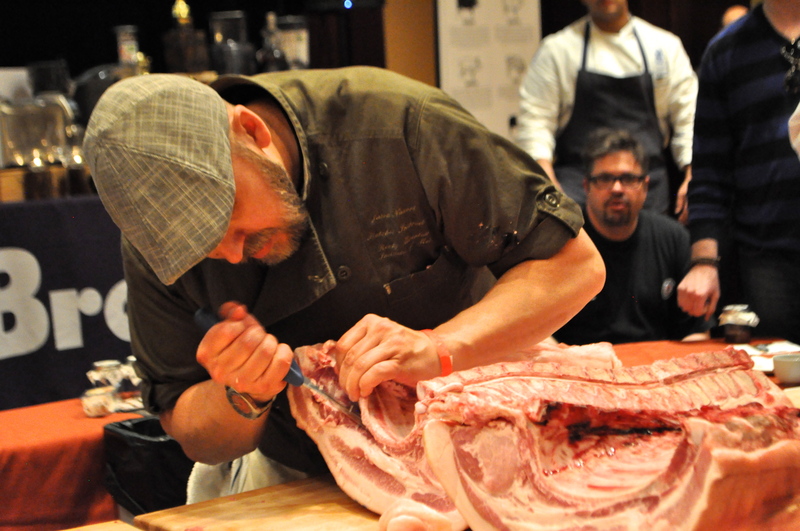 The winner in each city goes to the Grand Cochon competition at the Aspen Food & Wine Festival every year. At Sunday’s event, Chefs Rich Byers (The Corner Office), Jeff Bolton (Kachina), Jason Brumm (Second Home) and Jae Lee (The Curtis) will also prepare 500+ pounds of heritage pigs — so show up hungry. Punch Kings will showcase the 10 winning bartenders including Denver’s own Justin Lloyd of Star Bar. Each contestant will create their own punch using a bottle of Breckenridge Bourbon. Before single-serve cocktails became popular, mixed drinks were made in large-format style, called punch and served in bowls. 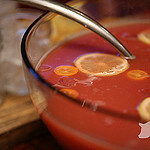 The classic version of a punch contains a variation of: spirits, sugar, water, spice, and citrus. The winner will serve their punch at a Heritage BBQ event later this year. The event, modeled after the World’s BBQ Fair is a tasting where five chefs will prepare barbecue pork in their favorite style — Hibachi (Japan), Braai (Africa), Asado (Argentina), Char Siu (China), Satay (Southeast Asia), Mangal (Central Asia), Luau (Islands), Regional American (Kansas City to Lexington to Lousisiana), and Barbacoa (Mexico). 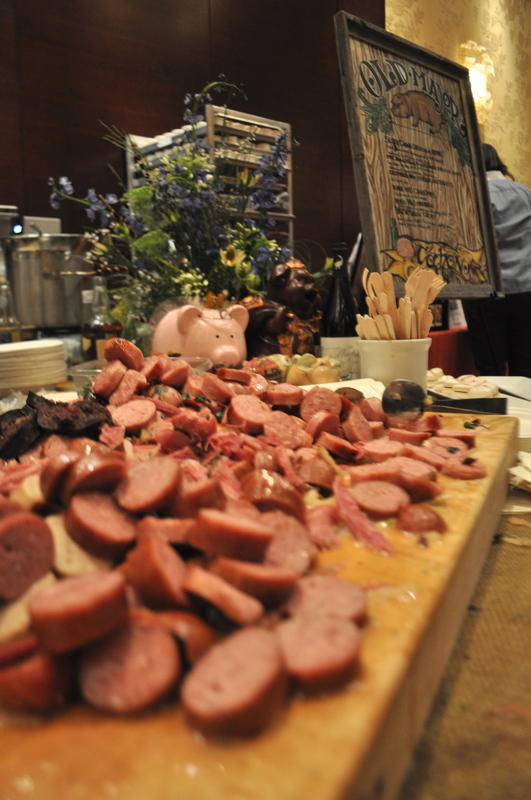 Tickets are still available at http://events.cochon555.com/punch_kings. 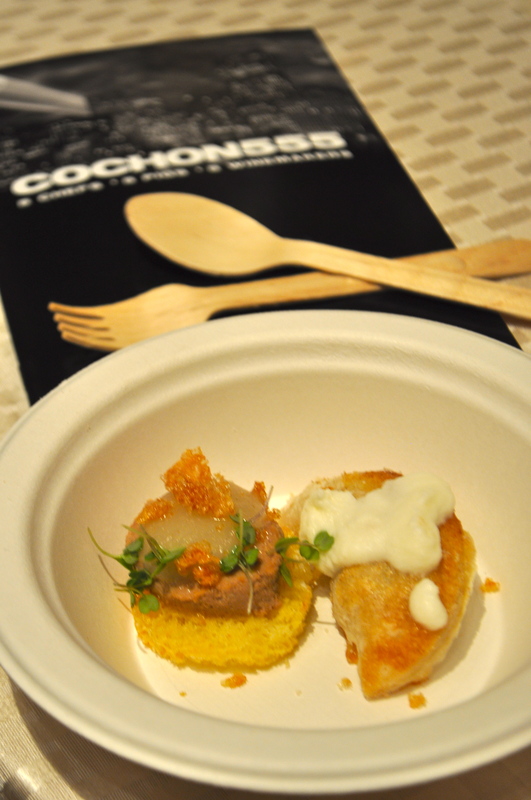 Photo used with permission from Cochon 555. Collaboration Fest is today! I hope you’re going; it promises to be a fun event. The festival will have over 35 beers, each brewed by a Colorado Brewers Guild member and another brewery – including some out of state breweries. The event starts at 3 p.m. at the Curtis Hotel downtown. This is the first year for this event and from the sound of the chatter on social media and from my friends in the local craft beer scene (the best kind of friends to have! ), this event is going to be amazing. I hope I will get to try many of collaborations, but I tasting more than 20 beers is a lot, even for me. I am sure it will bring back memories and tasting techniques from Great American Beer Festivals past. – Oskar Blues Brewing Company and Saint Archer Brewing Co. So. Much Food. Those three words are just the tip of the iceberg when it comes to wrapping up yesterday’s Cochon 555 Denver at the Ritz-Carlton downtown. Five Denver chefs participated in a friendly competition serving up their best nose-to-tail dishes for a hungry, slightly buzzed crowd. Ultimately, it was Jasinski and her team who won top honors, but the other four chefs showed up big time in their menus and presentation. 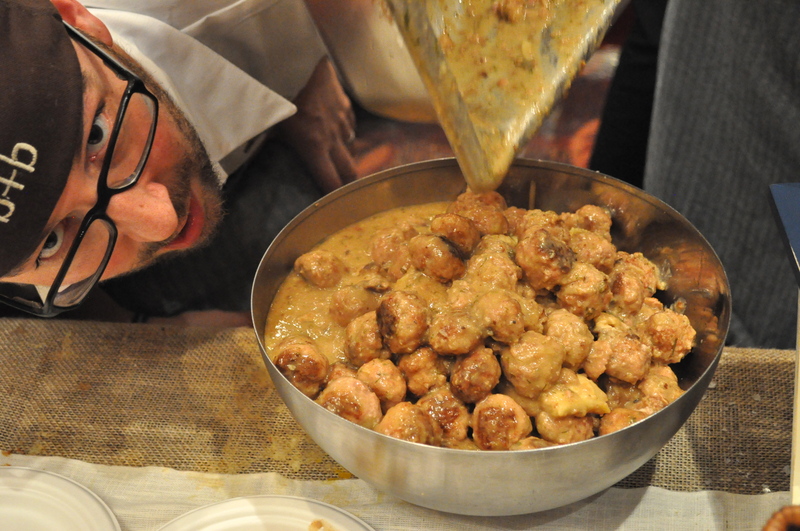 What I love most about food festivals is the sense of camaraderie among chefs and their teams. When the stakes are high (the winner gets to compete in the Grand Cochon at the Aspen Food and Wine Festival in June), it can be easy to let your ego take over and to focus only on winning. This year’s chef lineup was Jennifer Jasinski (Rioja); Steve Redzikowski (OAK at Fourteenth/Acorn); Bill Greenwood (Beano’s Cabin); Justin Brunson (Old Major); and Paul C. Reilly (Beast + Bottle). 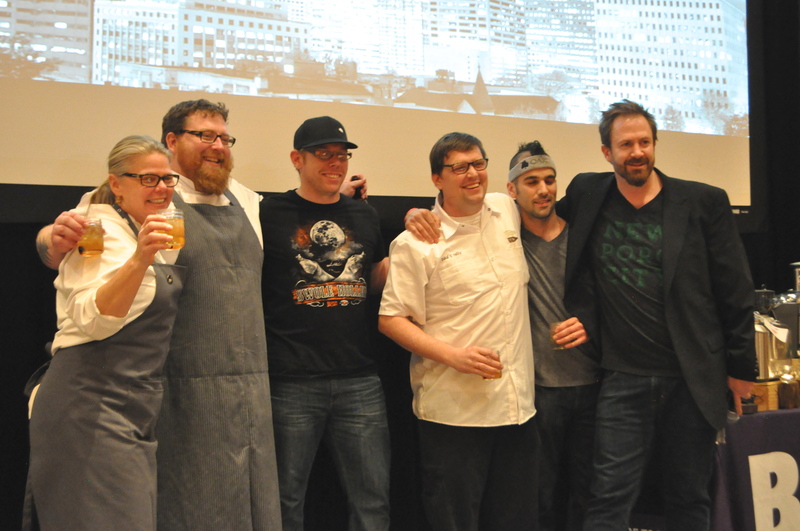 And yes, each chef was in it to win it all, but I loved seeing chefs and their teams supporting each other. 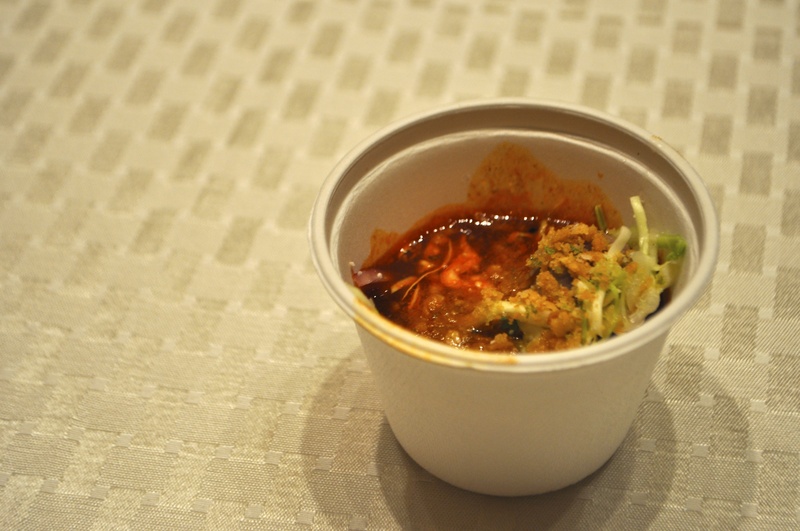 Jasinski’s posole won over the crowd. I tried it twice and was smitten with the spicy broth and hominy. I think I dreamed about posole last night. 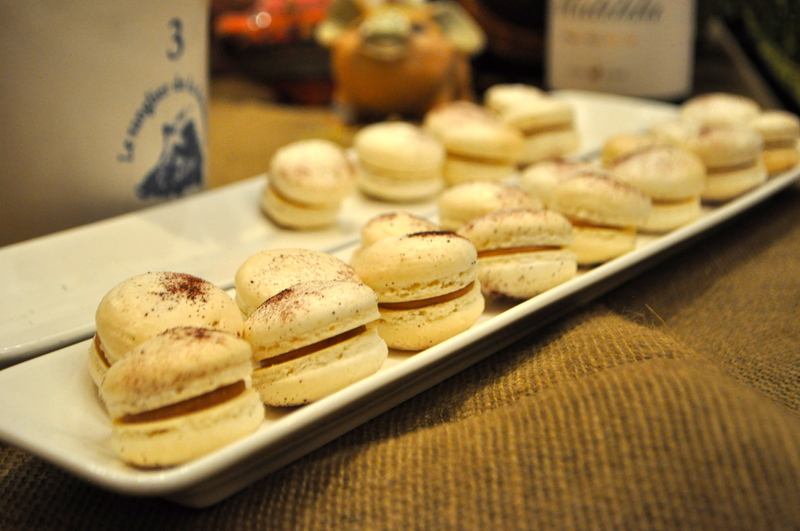 I was also slightly obsessed with Justin Brunson’s PB&J macaroons. I typically skip dessert but was so glad I tried them. As I was about to pop a cookie in my mouth, Brunson leaned over and said, “Just so you know there’s liver in that.” Sold. Jason Nauert from the Rocky Mountain Institution of Meat and his band of merry butchers broke down a whole pig in front of the crowd. I loved watching people record the event on their phones. If you’ve never had the opportunity to see an animal being butchered, I urge you to find a way to do so. I learn a lot just watching. For me, it’s important to remember that what’s on my plate came from somewhere. It didn’t just arrive in butcher paper on my doorstep. And of course it was a treat to see my favorite butcher, Mark DeNittis, lift a half a hog over his head to the cheers of the crowd. I would be remiss if I didn’t mention the tremendous efforts of Bill Greenwood and his team. The nose-to-tail detail they showed for every single dish was evident in their menu. I tried the Georgia Bloodswick Stew (shoulder, head, marrow, beans, blood, cornbread and smoked tomato). Blood doesn’t bother me that much. I don’t pass out at the sight of it. I’ve cut my fingers enough to appreciate what it means (uh, you’ve gone too far). The stew itself was beautiful. The dollop of blood foam from a whip cream canister was a game changer. I can’t say I’d ever order it from a menu. But I did try several bites of the stew, and I loved the flavor. I just couldn’t get my mind past the visual. Greenwood and his team worked so hard and came up with some really creative dishes. I was honored to be among the relatively small group at Cochon who got to try the Nice F’N Loin (neck confit, brown butter dumpling, belly, and red porter). I took seconds. If you are one of the lucky ones to have snagged a ticket to Aspen Food & Wine Fest, please go and support Chef Jennifer Jasinski. I was lucky enough to work with her – as a volunteer at a fundraiser nearly 12 years ago – and I can tell you she is absolutely the real deal. She is generous, whip-smart, and serious about her work. She is what I strive to be in the kitchen. All photos by Sandra Morriss. PB&J Macaroons from Justin Brunson and team. Photo by Sandra Morriss. Ham, Apples, Trotters, Lard, Blue Spruce Chantilly. Photo by Sandra Morriss. Jason Nauert. Photo by Sandra Morriss. Jason Nauert breaking down a whole hog. Photo by Sandra Morriss. Bring it home. Photo by Sandra Morriss. Meatballs by Beast + Bottle. Photo by Sandra Morriss. 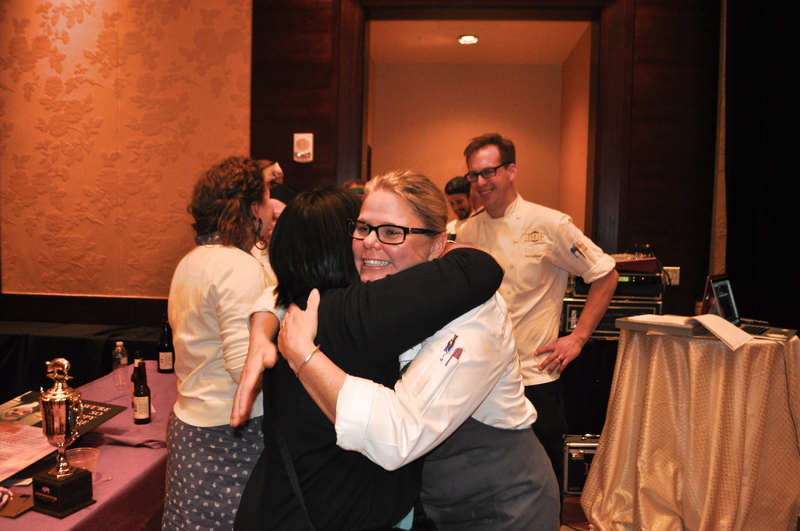 Congratulating Chef Jen. Photo by Sandra Morriss. I’m cooking and writing again. In the past five-ish years, I picked up running. Being a runner means my time management skills have improved immensely. This makes my Type-A personality happy when I plan my running schedule for the week on Sunday night. Until very recently, I never considered myself an “actual runner”. I ran sporadically, usually out of boredom or as a quick fix to solve a problem in my life or a recipe that didn’t make sense. I am constantly “in my head”. I take things personally. I have tissue-thin skin. I try to decipher tone via text. I like having time alone; listening only to my feet hitting the trail and the quiet whirring of my brain while I sort things out. Running is something I do for me. I don’t run with others. I’m slow and awkward, and I’m always scared that people I run with will have to slow down for me. So, I run alone. And I love it. My college buddy Matt Elder and I met in Election Statistics (it was as exciting as it sounds) class years ago. His favorite modern president is Kennedy and mine is Reagan. Somehow, we are still friends. (He also named his dog after Theodore Roosevelt – so there’s that.) We’ve survived two presidential elections, too many terrible Colorado Rockies’ seasons, and many, many pints of delicious Colorado craft beer. We were political science students together and I was one of maybe three Republicans in the entire program. I’m being serious; I went to school in Denver. Political boundaries have never deterred me. Some of my closest friends are the absolute opposite of me, which is both maddening (for me) and hilarious (for bystanders). But we’ve never run together. That will change. I challenged Matt to 35 miles in 35 days. Matt’s wife, Lauren, is also a runner and is up for the challenge. Each of us will run at least one mile per day from Thanksgiving to New Year’s Day. We’ll be checking in with each other regularly and giving each other hell for not showing up. They live in Wisconsin but that will not stop us from holding one another accountable and getting some miles in. Matt and Lauren are coming to Denver for New Year’s and we’ve already planned a Denver Brewery Run. I’m already working on the brewery tour list, and figuring out mileage. It only has to be a mile, but rules are rules. And I think we are gonna need t-shirts. On a somewhat related note: I am giving up alcohol for the entire month of December. If you know me and my unadulterated love for craft beer and red wine, you know that this is going to be a great challenge. But I am also training for two, maybe three, half marathons before June 2014 and I want to get a head start on all the New Year’s Resolution suckers. I may be tweeting and Instagram-ing pictures of the copious bottles of water I will be drinking.